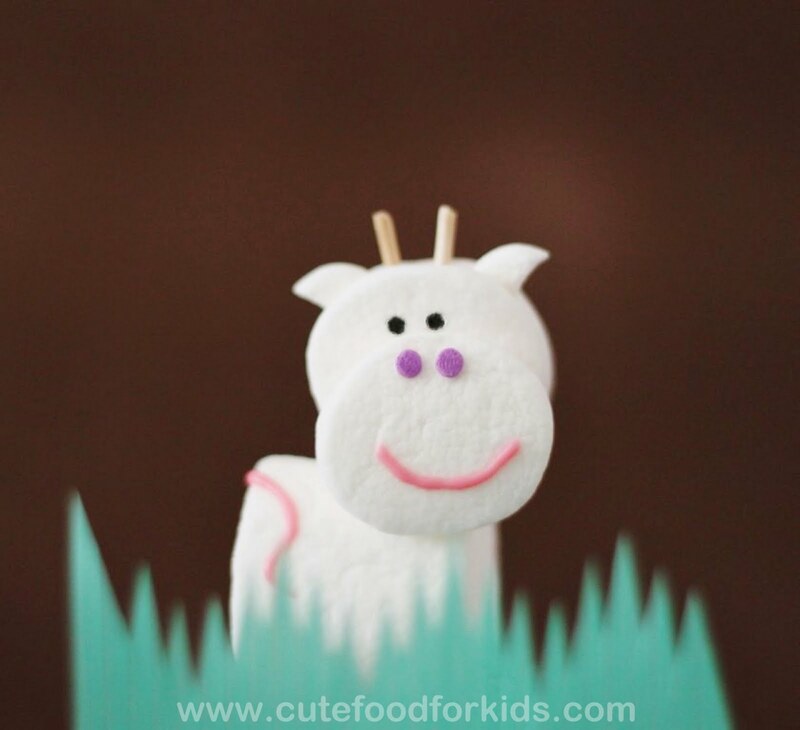 This marshmallow cow is the fourth marshmallow animal I made. 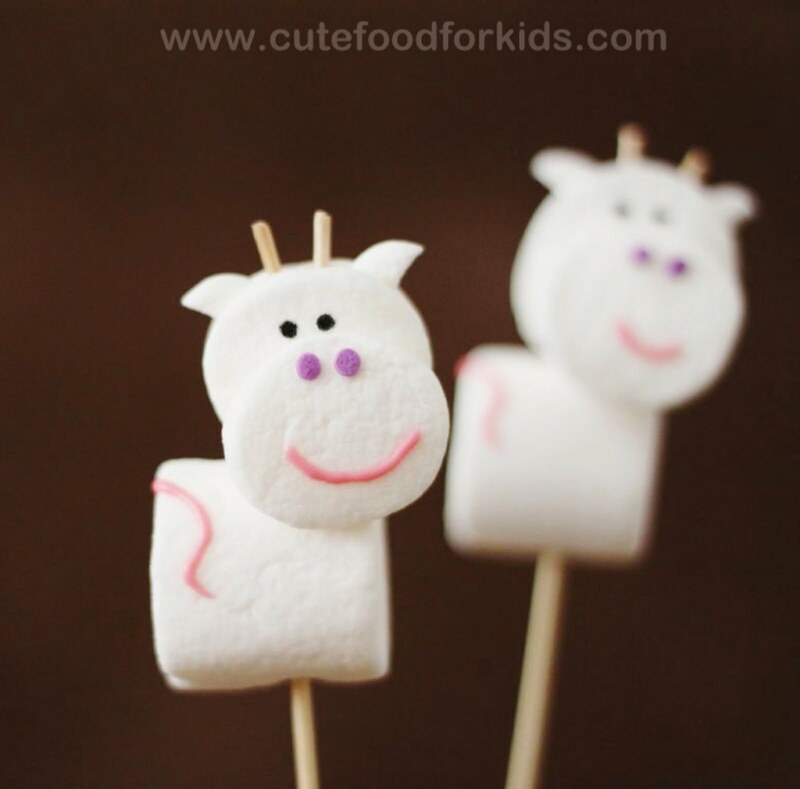 Have you seen the marshmallow bunny pop, marshmallow bunny, marshmallow teddy bear on this blog yet? Which one do you like the most? - Put the cow together. Use spaghetti in place of toothe picks if you are giving this treat to a younger child! A look from different angles to help you get the idea of how it's done! Ha, it doesn't look too cute from the side!